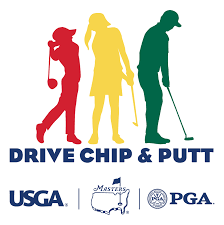 The USGA, Masters Tournament and the PGA of America today announced the qualifying schedule for the 2019-2020 Drive, Chip and Putt season. Online registration for interested participants will open March 5, 2019, on drivechipandputt.com. The schedule includes dates and locations for participants to play in local qualifiers across the country, with the opportunity to advance to subregional and regional qualifying, and earn an invitation to next year’s National Finals at Augusta National Golf Club. The full qualifying schedule is available HERE. Drive, Chip and Putt is a free youth golf development initiative that is aiming to help younger generations begin their lifelong connection with golf, by providing a fun, interactive platform for participants of all skill levels. Open to boys and girls ages 7-15, local qualifying will take place throughout all 50 states during the months of May, June, July and August. Top performers at the local level will advance through subregional and regional qualifiers at some of the country’s best championship venues in July/August and September, respectively. The top 80 performers – 40 boys and 40 girls – will earn an invitation to the National Finals at Augusta National on Sunday, April 5, the eve of the 2020 Masters. For a full list of qualifying venues at the local and subregional level or for more information about Drive, Chip and Putt, including official rules, eligibility and registration, please visit drivechipandputt.com. A joint initiative founded in 2013 by the Masters Tournament, USGA and the PGA of America, Drive, Chip and Putt is a free, nationwide junior golf development competition aimed at growing the game by focusing on the three fundamental skills employed in golf. By tapping the creative and competitive spirit of girls and boys ages 7-15, Drive, Chip and Putt provides aspiring junior golfers an opportunity to play with their peers in qualifiers around the country. Participants who advance through local, subregional and regional qualifying in each age/gender category earn a place in the National Finals, which is conducted at Augusta National Golf Club the Sunday before the Masters Tournament and is broadcast live by Golf Channel. For more information, please visit: drivechipandputt.com. The Masters Tournament Foundation, inspired by the enduring philosophies of Masters Tournament founders Bobby Jones and Clifford Roberts, is committed to promoting golf’s domestic and international development through financial investment and active participation in initiatives aimed at preserving the traditions of the game and sharing its many virtues. The Masters Tournament – since its very beginning – strives to provide added exposure to the game of golf and inspire interest in the sport worldwide. For more information about the Masters, visit masters.com.